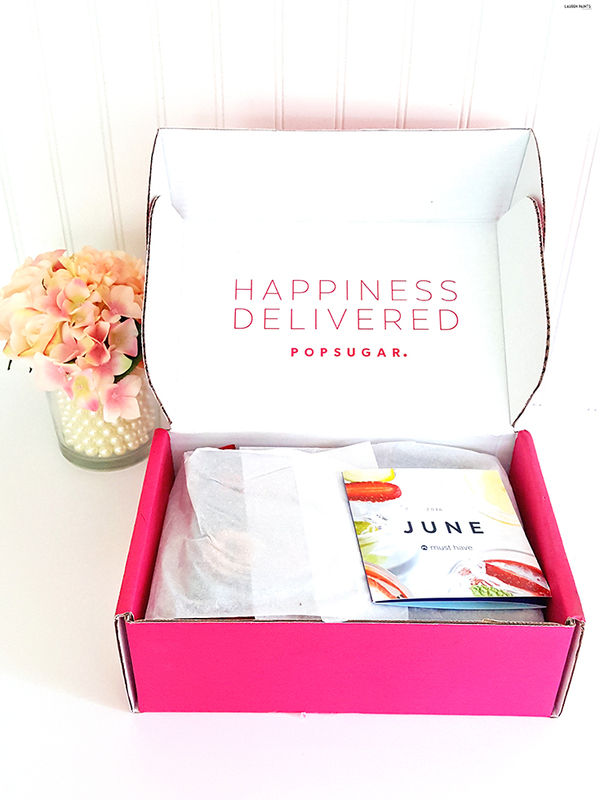 Happiness Delivered with The POPSUGAR Must Have Box for June! POPSUGAR sent me this Must Have Box to try and since I loved everything so much I just have to share all the goodies with you! With all kinds of exciting summer fun on the schedule, I'm so excited to have some of these items on hand to enjoy the hot, long days! From festive nail polish for the 4th to a dreamy sarong, this box has everything a fashionista could want! We'll go ahead and start with the dreamy Sarong from Hat Attack in Neutral Diamonds. The print is perfect for any occasion and it's so flowy that my pregnant belly doesn't feel like a nuisance while rocking it. As a beach bunny, I'm a huge fan of sarongs but this one may be my new favorite... it's so soft and lightweight and it fits perfectly in my beach bag! What more could I ask for? 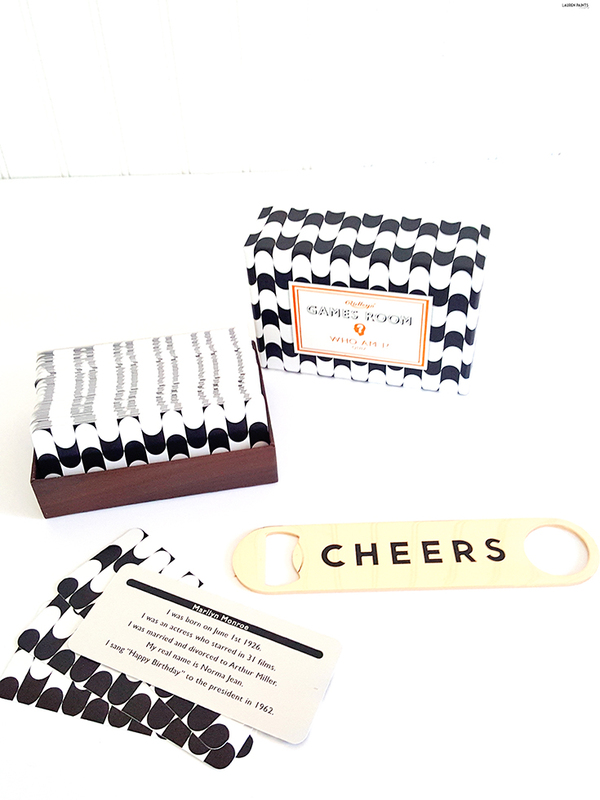 While I'm not popping the top off any brewskis in my current state, this adorable Sisters of Los Angeles "Cheers" Gold Bottle Opener is the perfect way to help a friend in need out! Plus, it makes an adorable decoration on a bar cart and the perfect addition to any BBQ occasion that involves an adult brew or two! I can't talk about adult brews and a good time, without mentioning The Wild and Wolf Ridley's Games Room "Who Am I?" Quiz game! This game is so much fun! It's like "Guess Who" and trivia had a baby and "Who Am I?" is that beautiful love child! Team up with a few friends that have had a couple of beers and get ready to giggle at some of the clues or bust this game out when meeting new people and break the ice instantly in a fun way! Speaking of ice, if you love a little sparkle then you'll adore the Must Have Beauty item in the box - the NCLA Born on the 4th Nail Lacquer is full of little specks of sparkle and the perfect way to show off your patriotic side this summer! It also gets a couple of bonus points for being cruelty-free, in my book! This beautiful shimmery shade is a POPSUGAR exclusive, which is so neat and makes me love it even more! Add a coat over a deep shade of red and you'll be rocking beautiful nails in minutes! 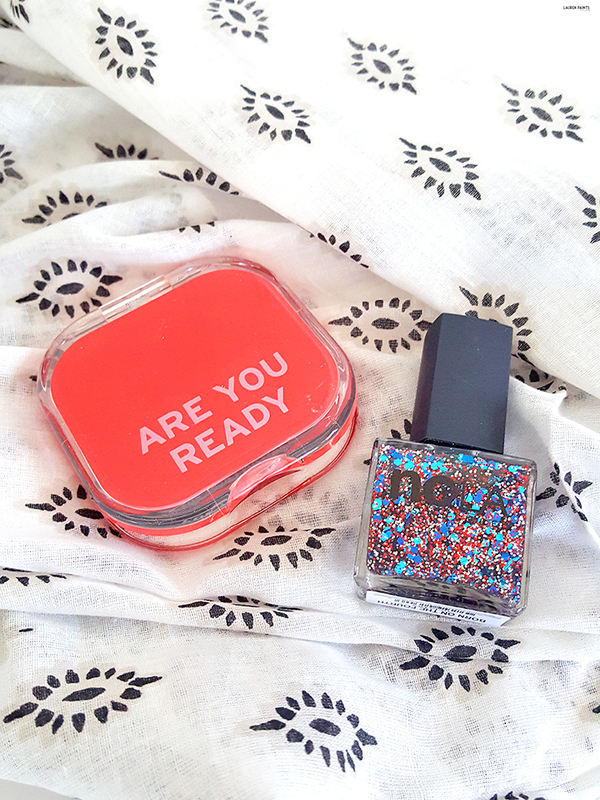 Once your nails look beautiful, you'll have to check the rest of yourself out with the handy dandy Knock Knock Are You Ready (For Your Close-Up?) Compact! It's the most adorable way to sneak a peek at yourself, whether you're checking your eyeliner for smudges or peeking at your summertime love over your shoulder this little compact mirror is just too cute not to stick in your purse for use all summer long! Now that you know that you look good, it only makes sense to make sure you smell great as well! 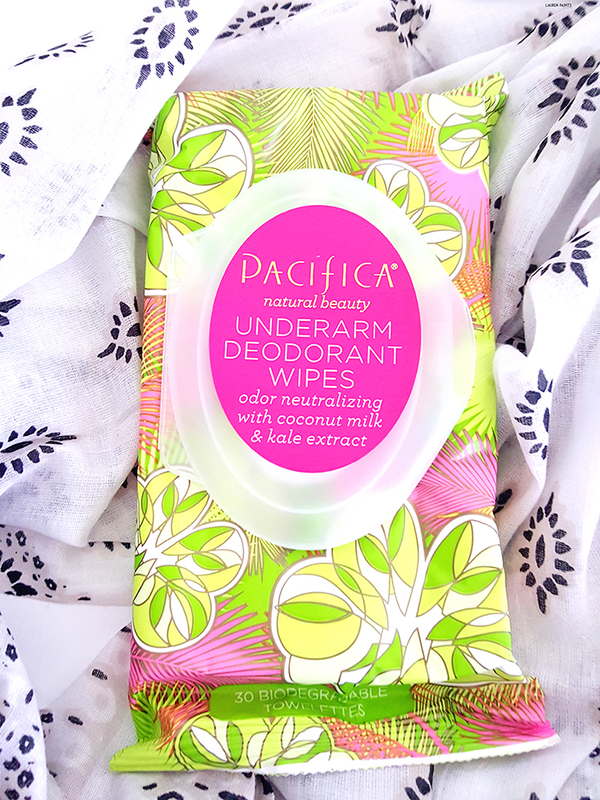 I think that's probably why Pacifica Underarm Deodorant Wipes are in the POPSUGAR Must Have box this month and I'm definitely not complaining! With fresh, clean scents that neutralize odors for hours without any aluminum - I'm totally a fan of these and will be stashing the pack in my purse as well! 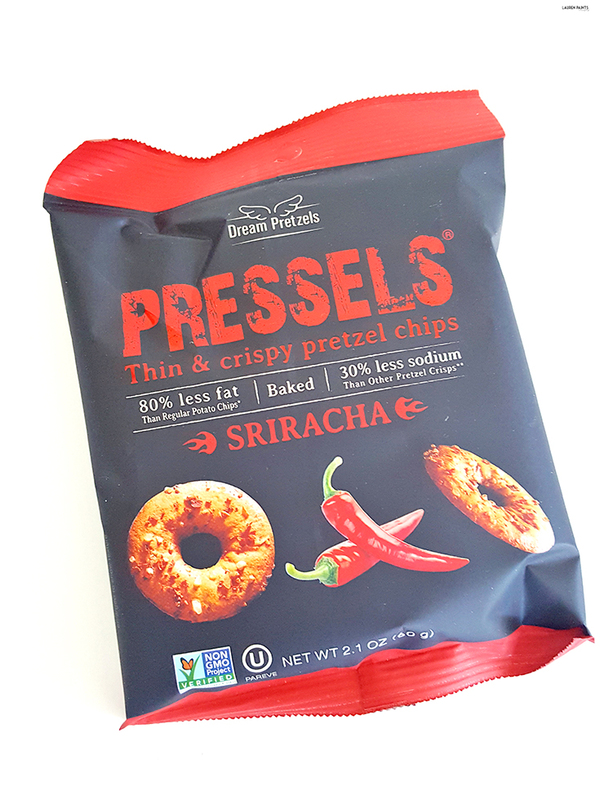 The last Must Have item in my box is the Pressels Sriracha Pretzel Chips and if you know me, you know I'm not necessarily a big fan of pretzels but these funky little chips are actually pretty tasty! With just the right amount of kick and a delicious crunch, I'll definitely be snacking on these while wrapped in my sarong and admiring my mani-pedi this summer! 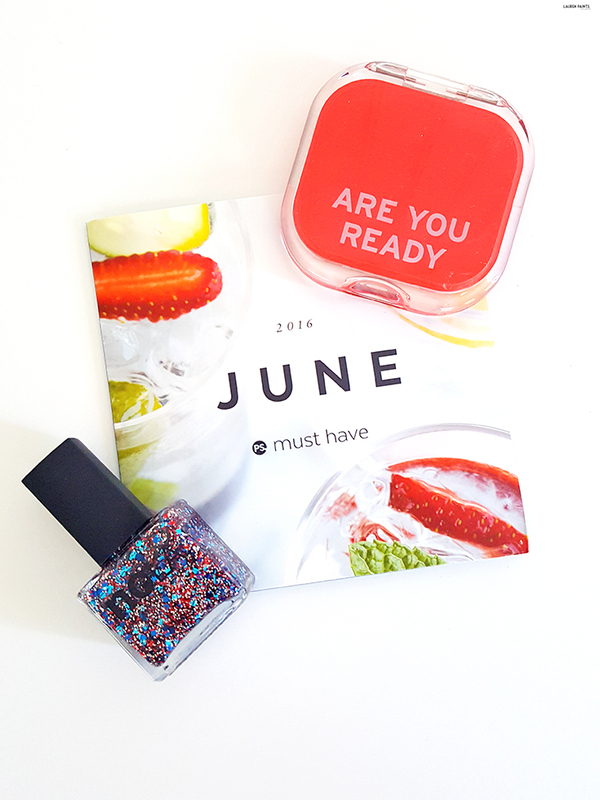 Are you a POPSUGAR Must Have subscriber yet? If not, you should be! 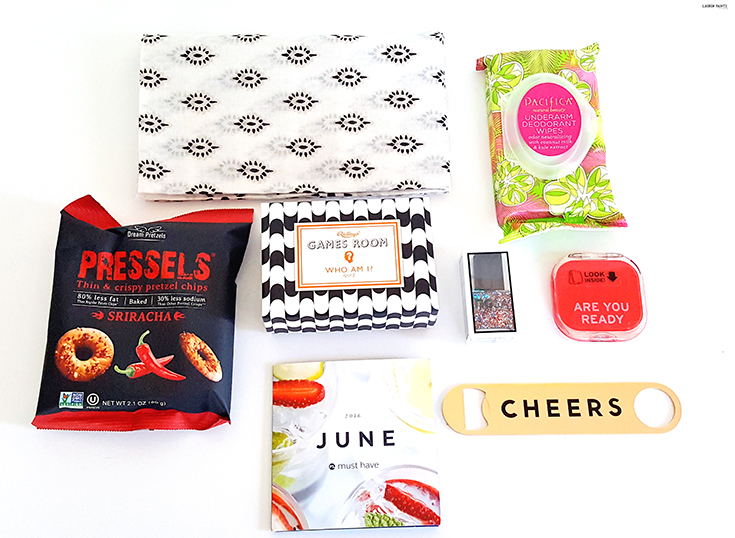 Order your box today and be sent a box full of curated surprises each and every month!